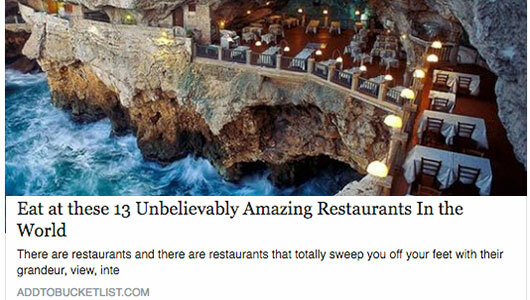 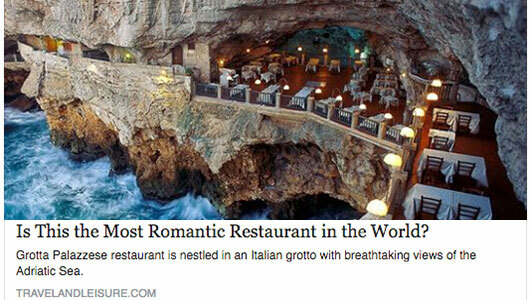 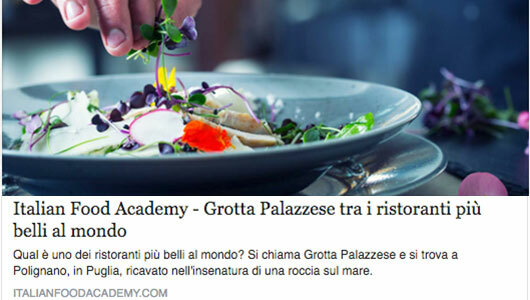 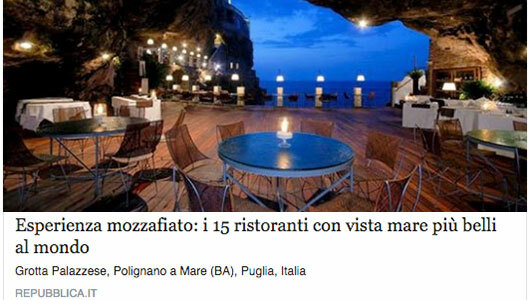 The Grotta Palazzese Restaurant, famous all over the world, has been reviewed in many magazines and blogs by journalists and travelers who love good food, Puglia and exclusive places. 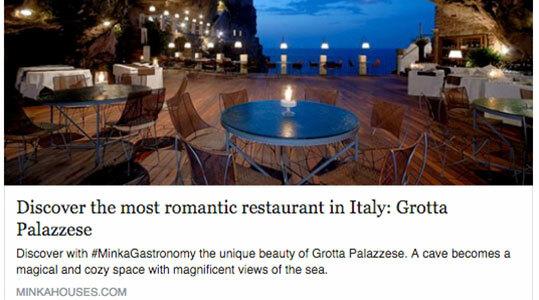 Thanks to the particularity of the place and to the refinement of the kitchen, the Grotta Palazzese restaurant is mentioned as one of the most beautiful places in the world, an unmissable stop for anyone who wants to experience unique and unforgettable emotions. 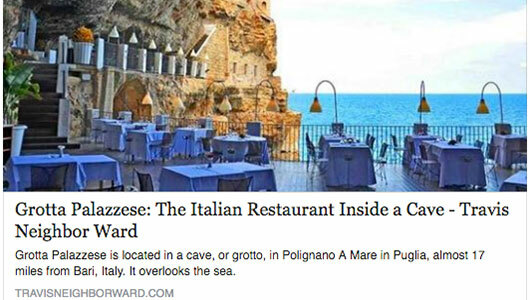 Below is a press review of some reviews in blogs, magazines and books. 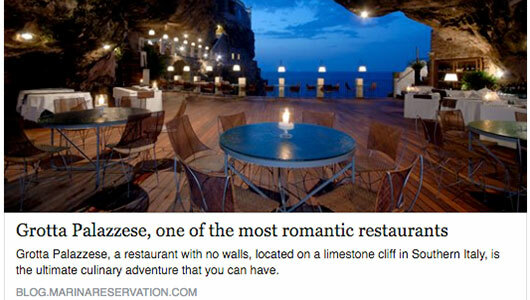 To reserve your table get in the dedicated area by clicking on the button below.